In an interview on “The View,” comedian and creator of “One Mississippi,” Tig Notaro, said it was a “huge relief” when Louis C.K. was removed from her series. Tig Notaro, comedian and creator of the Amazon series “One Mississippi,” said that it was a “huge relief” when comedian Louis C.K. was removed from her series, on “The View” Monday. C.K. was listed as the executive producer on “One Mississippi,” and released Notaro’s comedy album in 2012. Notaro said that shortly after she and C.K. sold the series to Amazon she heard stories of his alleged sexual misconduct, and began making an effort to distance herself from him. Notaro also said that she “had gotten firsthand confirmation” that the rumours about C.K. were true. 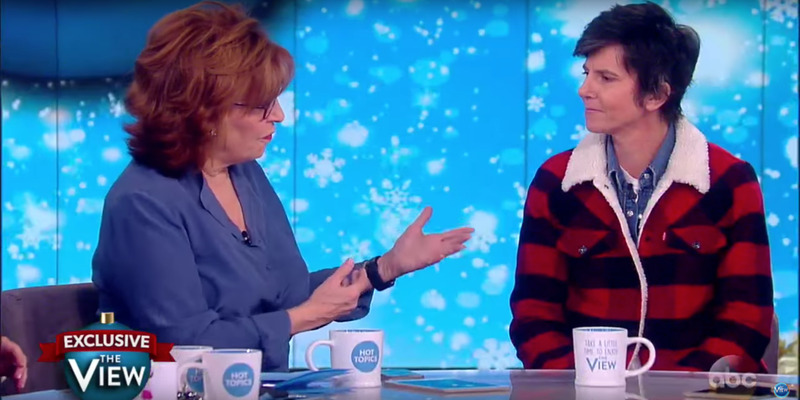 On “The View,” Notaro was also asked if one of the main storylines on “One Mississippi’s” second season, which involves a male executive masturbating in front of his female employee, was about C.K. Notaro told the hosts of “The View” that she and her all-female writing staff wanted to “recreate” harassment and their various experiences with it. She added that they had written the second season in January 2017, prior to the sexual misconduct allegations against C.K. coming out. “Every story on ‘One Mississippi’ is based in truth, and it’s not necessarily my truth, but it’s somebody’s truth. Something somebody experienced, or knew of the experience happening,” Notaro said. Before publication, Notaro told the Times that she had felt “trapped” by her association with C.K.